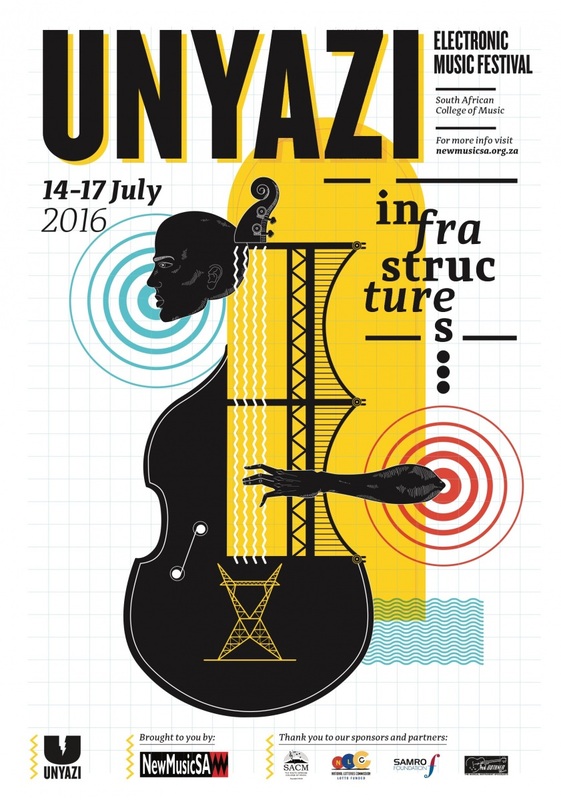 From 14-17 July, NewMusicSA presents the 2016 Unyazi Electronic Music Festival at the South African College of Music, University of Cape Town. This year’s festival is themed around the idea of ‘infrastructures’ as the various mechanisms of access and mobility we find in the cities around us, and the various ways we use, subvert, and transform these. These mechanisms range from roads and highways to water works and the electricity grid. The theme also speaks to the growing infrastructures of electronic music in South Africa like studios, albums, networks, and archives. In the end, electronic music is realised through movement and mobility of signals across wires, consoles, mixers, pick-ups, mics, and speakers, each a form of infrastructure. The festival will present four evening concerts, two lunch time concerts, and three workshops. The programme brings together a diverse cast of composers and performers presenting everything from acousmatic music to mixed-media works to live ensembles mic’d-up and manipulated in weird and wonderful ways. Check out the full programme HERE. Tickets are priced at R30 for students and pensioners, R50 for anyone else (per concert). Tickets available at the door. This entry was posted in music and tagged cara stacey, experimental music, improvisation, new music sa, thokozani mhlambi, unyazi. Bookmark the permalink.